Our TV schedules are packed with pre-recorded shows. The ultimate is the Queen’s Speech on Christmas Day. 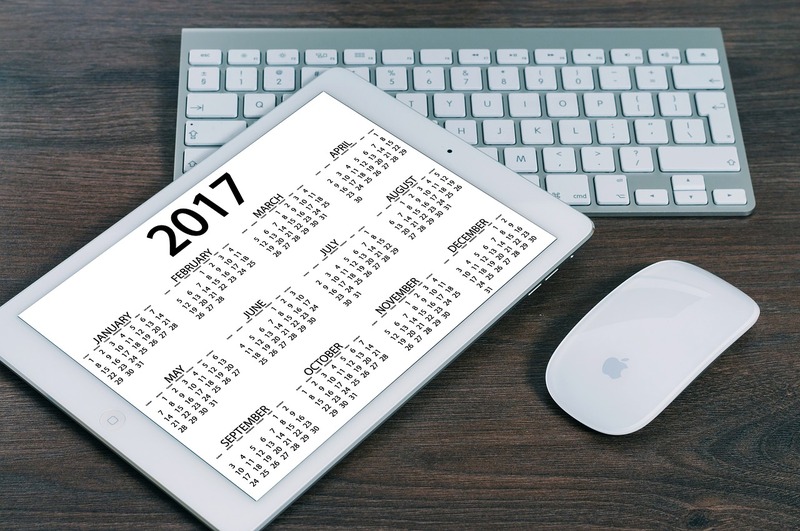 Scheduling social media for your business makes sense too. It will save you time and money. It also saves you that “Eek, I haven’t tweeted for ages and can’t think of anything to say”. I love live tweeting and tweetalongs, trading snarky comments about the latest period drama on Twitter. But for my business account, I intersperse spur-of-the-moment messages with a regular drum beat through scheduling social media. I scroll through Twitter on my phone. If something catches my eye, I’ll click the little heart to Like it. On a Monday morning, I set aside time to read through my Likes and open up the articles on my laptop. If I think it’s worth forwarding on to my followers, I then retweet the best as scheduled tweets once a day for the rest of the week. If they’re really good, I’ll rewrite the tweet so it’s suitable for Facebook, and post it there too, using Hootsuite’s scheduling facility. I scroll through Facebook on my phone. If I like something, I’ll press the tiny arrow in the top right of the post and select Save post. Note: At the moment you can only do this from your personal profile Newsfeed, not your Business page. On a Monday morning, I look through the Saved post on my laptop. 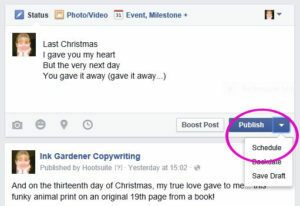 If I like it, I then Share the post on my business page, using the ‘Share on a page you manage’ option. Unfortunately I can’t set these shares to post at certain times on Facebook. But I use the list as a resource to pepper my Newsfeed throughout the week. Any Facebook uber-experts out there? 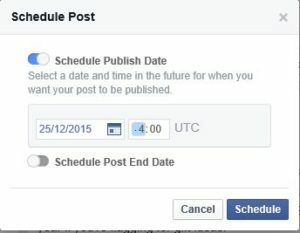 If you’ve worked out a way to schedule Facebook shares or how to flag up posts from your Business page newsfeed, please let me know! Only do this with messages which aren’t time-sensitive. There’s no point commenting on an event that happened a week ago. 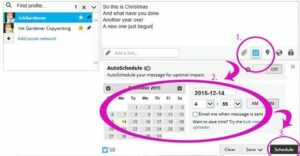 There’s lots of scheduling software out there such as Tweet Deck, Buffer, Meet Edgar or, my favourite, Hootsuite. The latter is free to use for up to three accounts. So if you only have one Twitter account and one Facebook Business Page account, you won’t have to pay. This will bring up the calendar. Select the date and time which best suits your audience. UTC stands for Coordinated Universal Time, which matches GMT but its name makes the French happier. You can schedule your messages, but be prepared to keep an eye on replies. Do you have a time-sensitive major campaign going out? Make sure you’re around to answer them. If someone asks a question, they will expect an answer. Pre-scheduling tools are best used in the short-term. Evil pixies/glitches and connectivity issues (delete as applicable) happen, and occasionally messages don’t go out. The further away you schedule your message, the more likely it is to fail. So don’t set up Valentine’s Day messages in November. Would you like a few hours’ coaching to make sure you’re making the most out of your social media? Or would you like me to manage your social media accounts on your behalf? To chat through what’s best for you, please get in touch.